Added on January 12, 2015 by Adrian and Shane. 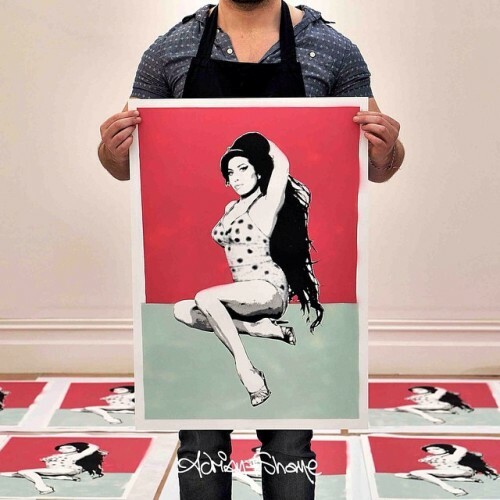 There is now a very limited edition screen print inspired by Amy Winehouse available from our online store. New limited edition print available now. Spray paint and screen print on 300gsm munken paper. Added on September 19, 2014 by Adrian and Shane. 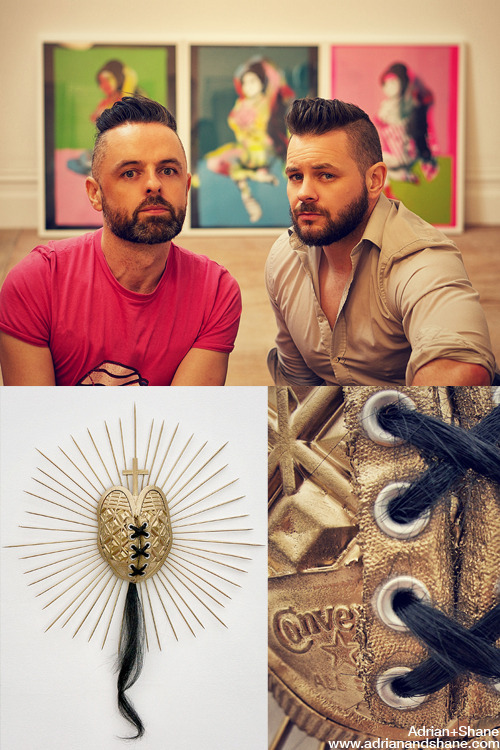 Contemporary Irish artists Adrian+Shane announce their first London showcase at 'When I Walk In Your Shoes' exhibition with pieces inspired by the late singer Amy Winehouse. Opening at London Westbank Gallery from 25th to 30th September, proceeds from inspired artworks sold will go directly to the Amy Winehouse Foundation. Adrian+Shane will proudly be contributing exclusive pieces towards an artistic celebration of Amy Winehouse, along with 20 other artists including Dita Von Teese, Pure Evil and Scroobius Pip, who have been hand-picked and curated by Henry Hate, Amy's tattooist and friend. The show 'When I Walk In Your Shoes' is named after the first verse of Amy Winehouse’s song ‘Help Yourself’ and the catalogue will feature quotes of walking in someone else’s shoes from the exhibiting artists. Pieces by Adrian+Shane will include 'HEART' constructed from Converse trainers, as well as 3 original and unique paintings inspired by Amy Winehouse entitled 'PIN UP', made using acrylic, spray paint and screen print on paper. Following a private viewing on 25th September supported by Converse, 'When I Walk In Your Shoes' opens to the general public on Friday 26th September, offering fans the chance to join cutting edge artists in paying tribute to a colourful and unique musical talent in the heart of London. 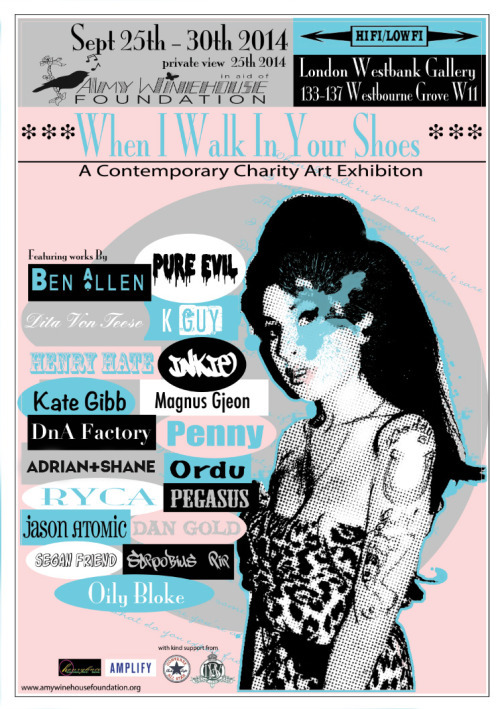 All proceeds raised from the sale of Amy inspired artworks and Converse pieces will go to the Amy Winehouse Foundation. Notting Hill, London W11 2R.